We're all packed up and ready to head back to Hong Kong tomorrow. It's funny how the summer holidays seem to vanish in a whirlwind towards the end, isn't it? One of the best things about this summer is that it was filled with loads of catch up time with good friends. Where last year we seemed to struggle to make the timing work for meet ups, this year all the stars aligned. And, I'm so glad. One of the places I'm glad we had plenty of time for was Crystal Lake, in Lodi, Wisconsin. It's the lake we spent much of our younger years wake boarding and water skiing on and now our kids are out carving their way through the water. We spent a good week with college friends and their kids enjoying the quiet serenity of the lake from the pier. It made me laugh to think about how times had changed. When we were fresh out of college, we used to run around taking care of our dogs. Now, we were doing the same thing, only with kids. My Louella Odie beach wraps got their day in the sun, finally! (Remember that we had a rainy start to summer?) When I envisioned this summer collaboration to showcase the wraps by using them by the water, I hadn't anticipated that so much of the water would be in the form of rain! My dear high school and college friend Susie was a reluctantly willing model on this sunny evening in June. We had a good giggle as you can see. We'd been out on the paddle boards and were grateful for two things: the warm sun (golden hour, too!) 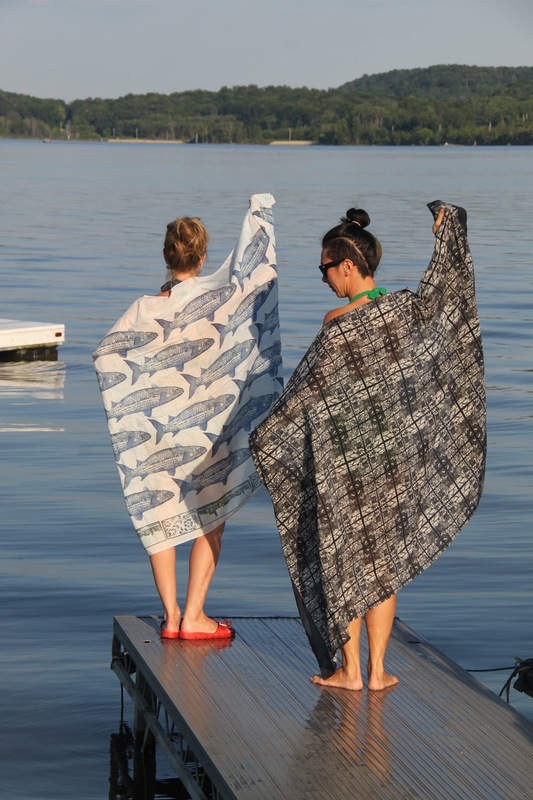 and these light summer beach wraps. 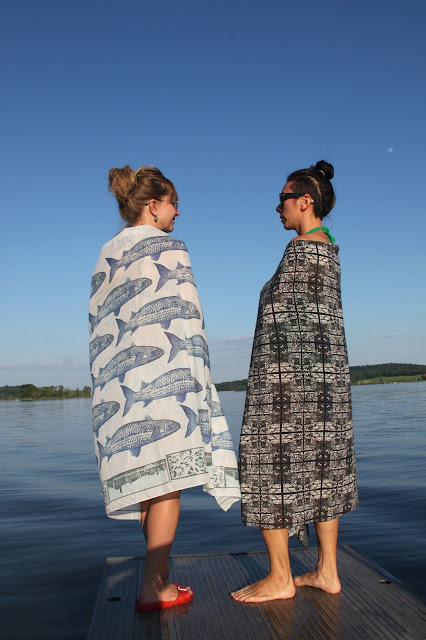 They were just the thing to keep us cozy on the pier after a cool dip in the water. I have these memories and more to keep me smiling about this holiday. I know when I get back to Hong Kong I'll be happy to see it again, but I'm kind of wishing this LO Summer Voyage wasn't over so soon.